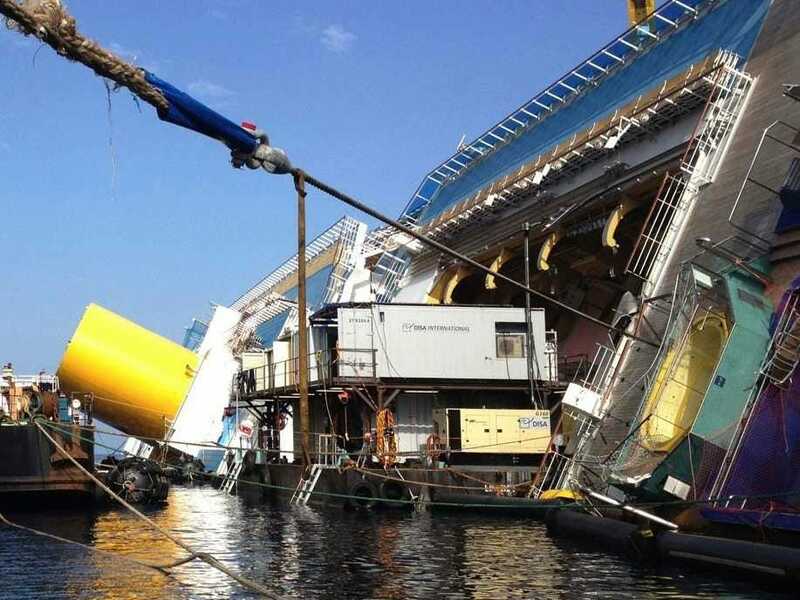 It’s been more than a year since the cruise ship Costa Concordia struck a reef off the shore of Isola del Giglio, in the Mediterranean, leading to a wreck that cost 30 passengers their lives.Yet the enormous ship is still sitting off the Italian coast, mostly submerged, in the middle of a nationally protected marine park and coral reef. 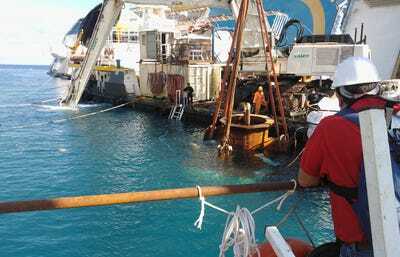 The ingenious salvage operation —called the “Parbuckling Project” — involves building a series of underwater platforms onto which the Costa Concordia will be lifted upright (parbuckled), then floated up and towed away. 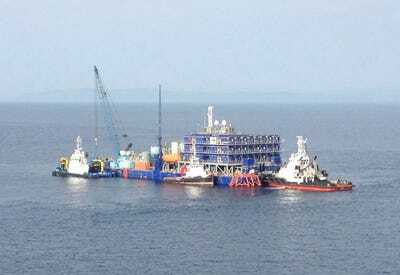 It is now fully underway: The underwater platform has been partly installed, and more than a third of the flotation devices that will hopefully lift the ship out of the sea have been filled and put in position. 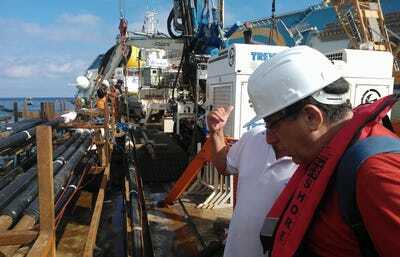 These photos reveal how the salvage operation — the riskiest, most complicated, and most expensive ever undertaken — is going so far. The salvage operation is expected to cost $400 million (insurance companies are footing the bill). The ship should be floated upright next summer. 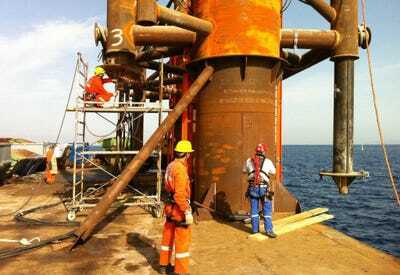 Work on the operation goes on 24 hours a day, 7 days a week. 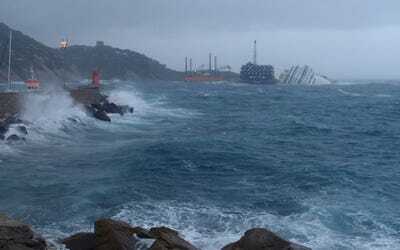 It's a race against the clock: The ship is currently held in place by steel cables, but it could be dislodged by a strong storm. 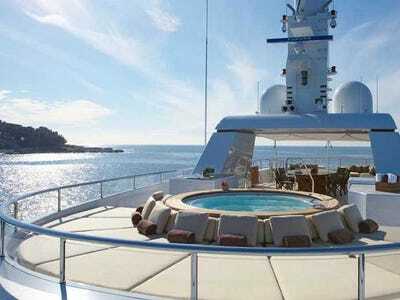 If it sinks, salvaging it would be nearly impossible. 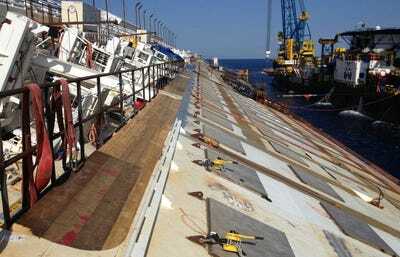 Here's one of the underwater platforms that will support the Costa Concordia once it's upright. 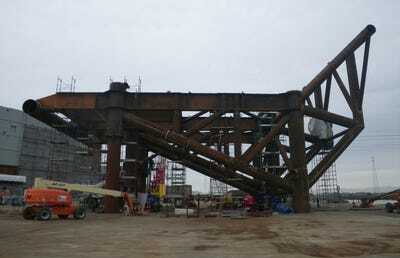 All of the steel used in the platforms will weigh 3 times as much as the Eiffel Tower. 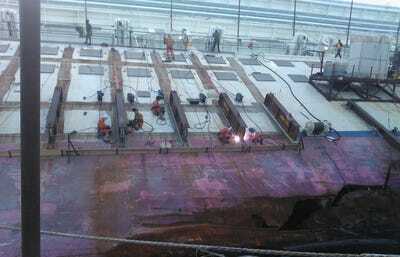 Platform number 4 will be installed in early March. 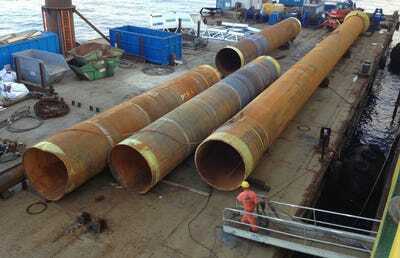 The platforms will be embedded in holes drilled in the seafloor. 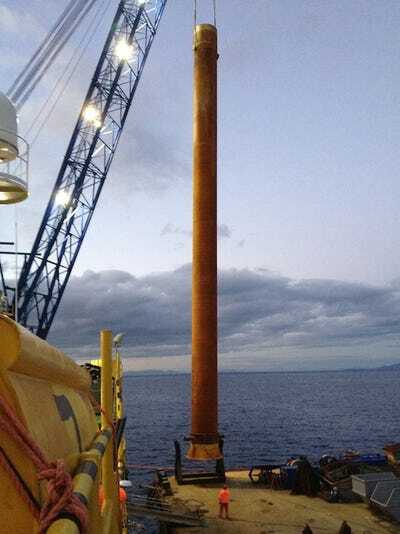 The drill bit is enclosed in a large tube to keep debris from contaminating the site. Fortunately, tests have shown no alterations of the water around the site, which remains as clean as it was before the wreck. 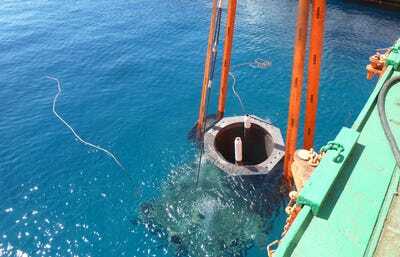 Here, one of the anchor blocks that will hold a platform in place is being lowered to the seafloor. 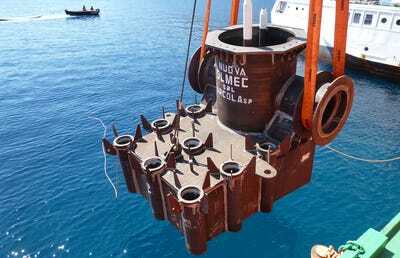 As of December, 30 per cent of the grout bags, which will be placed under the hull to provide extra support, had been filled with sand and cement. More than 200 are already in place. 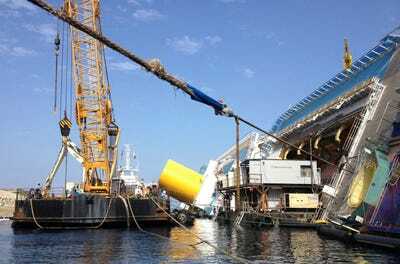 The plan includes removing the Costa Concordia's funnel, to make working on board easier. 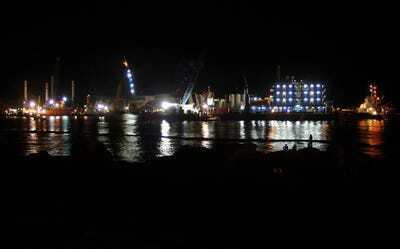 The 111 salvage divers on site work around the clock in 45-minute shifts. They live in these floating barracks, next to the wrecked ship. 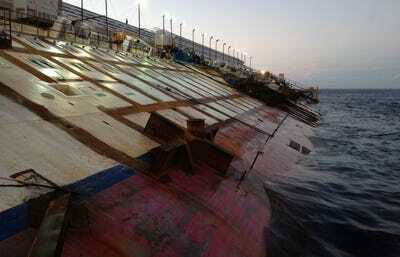 The work being done now is on the port side of the ship, which is not completely submerged. Before they can start on the job, workers must take a 4-day mountain climbing course. They use these anchors to keep themselves from falling into the water. 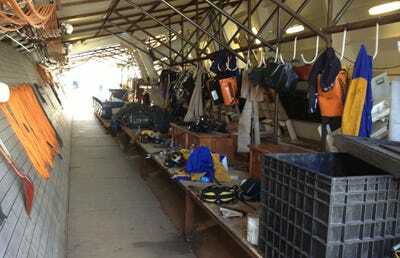 Here's where all of their equipment is kept.